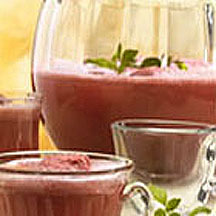 CooksRecipes has quality, kitchen-tested recipes for festive party punches that you can count on for deliciousness. A festive, sparkling fruit punch with colorful scoops of sherbet floating on top. 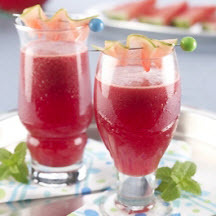 A refreshing blend of watermelon purée, green tea and grape juice. Add chilled chardonnay for the perfect party punch! 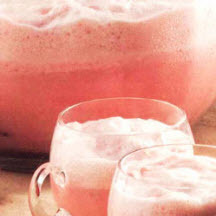 Whatever the occasion, this pretty 'n pink punch will add just the right festive touch.